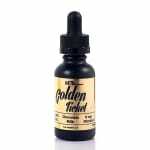 Sorry, Golden Ticket E-liquid by Met4 - 30ml has been discontinued. This juice is amazing! I've been a vaper for over a year now and haven't had much luck with flavours that I really love. This one, however, will definitely be an ADV from now on! I'm glad they have the 60ml version (which is also cheaper) because I'll go through my first bottle really fast. Just started this and need to order more in. Fantastic flavor, just like chocolate milk. I mix it with some creamy mint and java and it tastes just like a peppermint mocha Frappuccino. So Good!! On it's own, it is really awesome too. I just recently purchased this juice along with coils for my new Aspire Nautilus X and all I can say is WOW! This one has become my new favourite. I can vape with this all day long without getting bored. 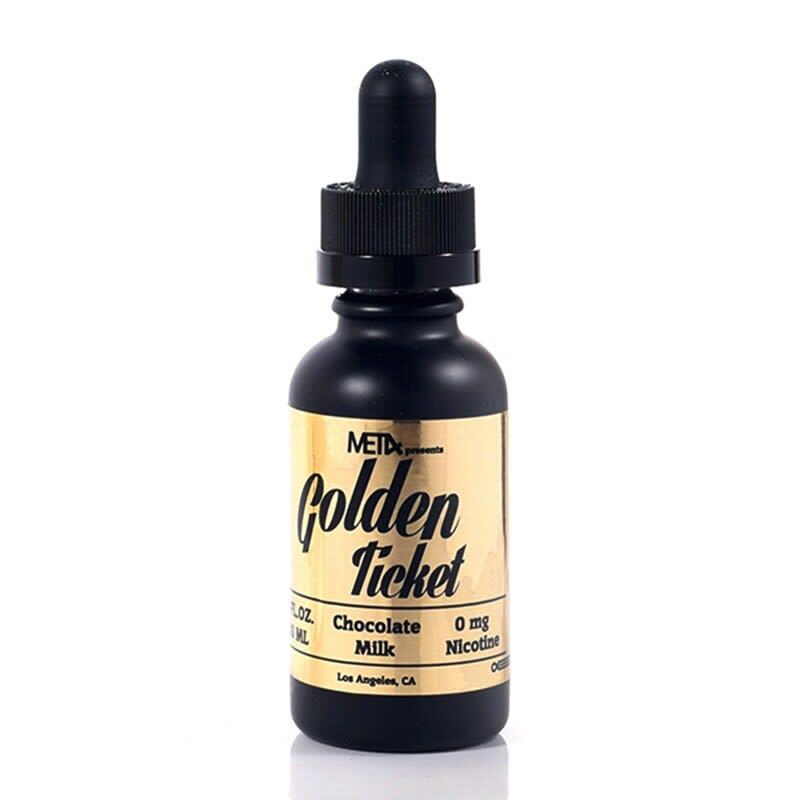 It is a definite "must purchase" if you enjoy a chocolatey flavour that isn't overbearing. Amazing! Like chocolate milk, just like it said. It has no artificial aspect like powdered stuff added to a glass of milk, this is right out of the bottle from a chocolate cow. DO NOT drink the juice - I was tempted, but resisted the urge and had an awesome vape! Brilliant flavour. Really nice chocolate milk after taste. Perfect with a coffee. No chemical taste like most chocolate vapes. One bottle isn't enough when it comes to this stuff. Bought this along my iCare. Really flavour, best chocolate flavour I've tried so far.